Amanda has been a part of Panhandle Dental Care for the last 4 years, with 9 total years being dedicated to the field of dentistry! 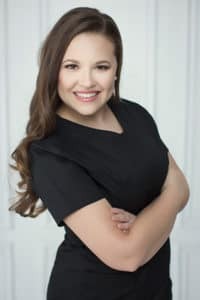 She completed her education in Dental Assisting at the Gulf Coast Community College Dental Assisting Class of 2009 and maintains her Dental Assisting Certification, and then her Dental Hygiene studies at the Gulf Coast State College Dental Hygiene Class of 2013. In addition, she also earned a Local Anesthetic Certification from GCSC in 2016. As a CRDH, Amanda has some important responsibilities at the office. She helps prevent disease with regular prophylaxis cleanings, radiograph exposure and periodontal pocket measurements, and home-care instructions. She also educates her patients on perio disease and decay risks and provides them with a customized treatment plan. After the treatment plan, Amanda follows through with the treatment of Periodontal Disease. She loves the teamwork and friendships she’s developed at Panhandle Dental Care and takes pride in her impact on her patients’ oral health. When she’s not at the office, you can find Amanda caring for her chickens and dogs, playing guitar and singing in the church band with her husband, and raising her son. 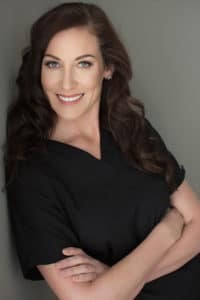 After completing her education at the Gulf Coast State College in 2015, Jennifer joined the Panhandle Dental Care team and received her Local Anesthetic Certification from the Gulf Coast State College in 2016. 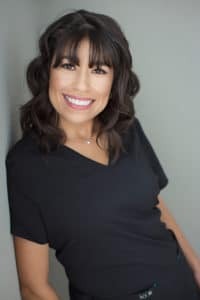 For the last 3 years, she has been helping her patients by developing their own personal treatment plans, as well as treating her patients who have Periodontal Disease. She also helps them prevent oral disease through proper cleaning and maintenance of any periodontal issues. She also administers a local anesthetic to make her patients more comfortable during their dental procedures. 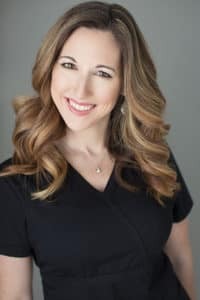 Her fascination for teeth led her to this career, and she gets to use that fascination to help restore her patients’ oral health. Jennifer loves the team mentality of Panhandle Dental Care, and she sees her co-workers as an extended family. If she’s not at the office, you can find Jennifer working out and weight lifting, or being a super mom to her two sons! A 9 year veteran in the dental industry, Kelly completed her training at the Gulf Coast State College Dental Assisting Program in 2009. Since joining Panhandle Dental Care in 2017, she has continued to pursue her passion of helping her patients with their oral health needs. She does this in several ways: assisting Dr. Ott in numerous procedures, prepping treatment rooms for patients, fabricating temporary restorations, as well as taking radiographs and impressions. Kelly loves EVERYTHING about her job and looks forward to interacting with her patients! Nothing makes her day more than seeing her patient’s entire world light up after seeing their new smile. This is due to the positive and respectful environment at Panhandle Dental Care. Her fellow coworkers provide each patient with the care and attention that they need to achieve their oral health goals. If Kelly is not at the office, she loves to spend her time in the great outdoors, in her local gym, or with her family and her dogs. Leslie is the newest face at Panhandle Dental Care, but she brings 8 years of strong dental experience with her! 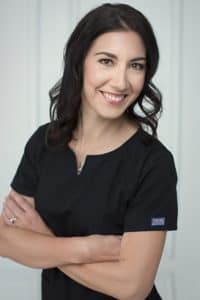 She began her training as a Dental Assistant at a practice in Castle Rock, CO, before receiving her Expanded Function Dental Assistant certification from the University of Denver, School of Dental Medicine. One of Leslie’s favorite aspects of her job is the variety of treatments and care that she can provide each patient. She assists Dr. Ott with all procedures while still providing a comforting and exceptional experience to everyone who walks through the door. She also takes radiographs and photos, sterilizes instruments, sets up for procedures, fabricates temporary crowns, and takes the doctor’s notes. In her free time, Leslie loves being active and spending time with her husband and children. She’s a proud military spouse and mother who spends her time hiking, working out, kayaking, camping, horseback riding, and building her community. Sandra is a 23 year veteran of the dental industry, having completed her education at the Concorde Career Institute. She has been a staple of Panhandle Dental Care for the last 14 years. As the Business Administrator, she is responsible for scheduling all new patients, handling all insurance questions, coordinating each patient’s treatment plan, and presenting the financial arrangements. These responsibilities go hand in hand with her love of helping others and providing support for a great office to see great patients. Sandra finds the care and love that Panhandle Dental Care shows each patient that comes in makes the office stand out. If she wasn’t working at the office, she’d either be traveling, eating/cooking, or opening her very own spa!